Between 1982 and 2006, Austin Energy's energy efficiency programs offset the need to build a 700 megawatt (MW) power plant. This became known as Austin Energy's first conservation power plant.  In 2007, Austin Energy kicked off a new goal with the Austin Climate Protection Plan, which is to offset another 800 MW of peak energy demand by 2020. Between 2007 and 2012, Austin Energy has offset an additional 318 MW which is 40% of the 800 MW goal. Austin Energy generates power through a diverse generation portfolio of natural gas, coal, nuclear, renewable resources, and purchased power. Browse data about our power plants including, percent owned, fuel type used, capacity in MW, and installation year. Austin Energy owns and operates two natural gas-fired power plants in Austin: the Decker Creek Power Station and the Sand Hill Energy Center. The utility also owns 50% of units 1 and 2 at the coal-fired Fayette Power Project in LaGrange, Texas. Additionally, Austin Energy owns 16% of the South Texas Nuclear Project in Matagorda County outside of Houston.